Brighton children find their Veg Power! 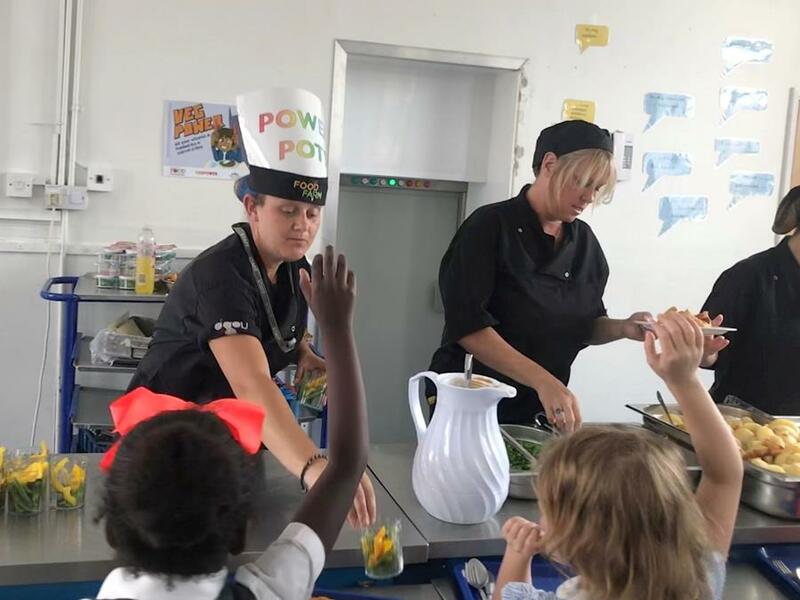 Brighton school children have been waging war against the twin evils of food waste and unhealthy eating using the simple superpower of Veg Power Pots. The fun-sized and appealing colourful cups have been filled with a different daily choice of raw veg, including carrot batons, mange tout and sweetcorn, for the past three weeks, offering the children of Fairlight Primary School an alternative to the usual cooked vegetable portions with their school dinner. 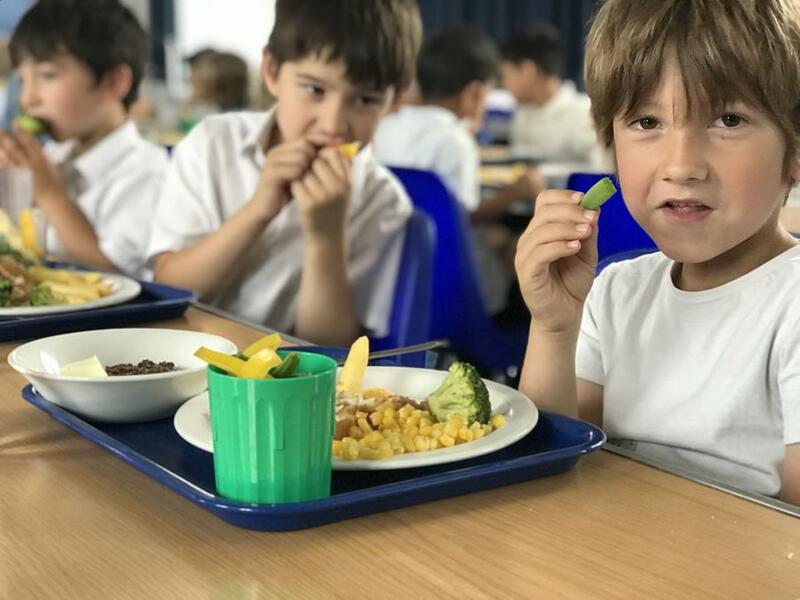 Provided by Brighton & Hove City Council school dinner providers Autograph, working with Brighton & Hove Food Partnership, the healthy raw-veg initiative follows a school waste audit last June. This showed that vegetables were the most wasted foodstuff from school dinners, but also that children preferred raw vegetables to cooked ones. The children have loved the experiment, which has used Veg Power stickers and posters to motivate them. Juniper, age 9, said: "I really enjoyed Veg Power because it gave us a chance to eat different veg to what's normally on the menu." Jacob, age 7, added: "I like Veg Pots because they give me power to run and play." Chloe Clarke, Policy and Projects Manager at Brighton & Hove Food Partnership, said: “Food waste is a major problem in Brighton and Hove with 69,000 tonnes of food every year being thrown away by businesses and households. Combine this with the fact that 80% of younger children are not eating enough veg and there are really big issues for the city to take on. Brighton & Hove Food Partnership will now evaluate the initiative's effect on the amount of food waste the school produced. If food waste is shown to be reduced, it is hoped that the Veg Power Pots can be rolled out to other schools in the city. Last October, the Food Partnership made a joint pledge with Brighton & Hove City Council to become a Veg City. This is part of the national campaign, established by the Food Foundation called Peas Please encouraging everybody to eat more veg. Fairlight Primary School pupils choose healthy Veg Power Pots. Photos: Chloe Clarke (above) and Sophie Ryde. (below). The school food waste audit in 2017 was carried out at Fairlight Primary and St Luke’s Primary by Brighton & Hove Food Partnership on behalf of Brighton & Hove City Council's Primary School Meals Service.